Treasure seekers is a correspondence course which is open to all children...although is best suited to those of primary school age. 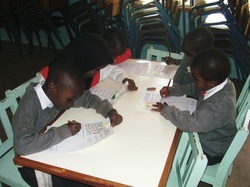 It is currently operating in almost every province Kenya as well as in Uganda with over 10000 children having studied. 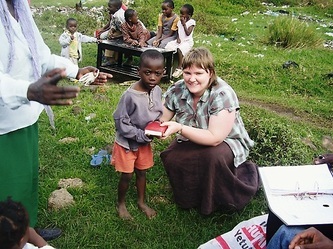 Children receive a lesson with a Bible story, questions to answer, a Bible verse to learn and an activity to complete. Each lesson is returned for marking and another lesson issued. The course is offered free of charge to all children, however FML does have to purchase Bibles so we appreciate any donations for this ministry. With so many children already studying, this is a massive step of faith for us. Pray that God would provide the needed funds. Upon completion of 15 lessons, each child will be awarded a King James Version of the Bible. They can then continue with Part 2 of the course and complete another 15 lessons. The first 15 lessons are now available to download free of charge for those who register with our website. These can then be printed off. Unfortunately we are unable to provide a Bible for children who complete in this way, but, if you are able to provide Bibles for the children in your care, we can, upon request, make the remaining lessons available to you. Part 2 requires a KJV Bible to be completed. Find out more details here! MEMORABLE DAY AS THE FIRST CHILDREN TO COMPLETE THE COURSE RECEIVE THEIR BIBLES! Saturday 29 March 2008 was a very exciting day for the FML team. 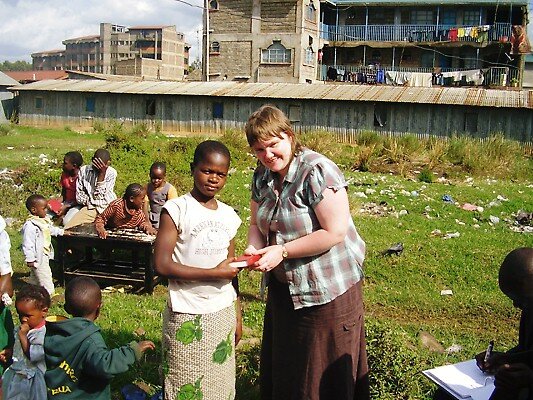 Pamela was in Kenya and was able to present Bibles to the first group of children to complete the correspondence course. 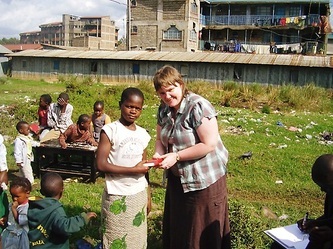 There was great expectation as numerous people involved with FML travelled to meet the children. 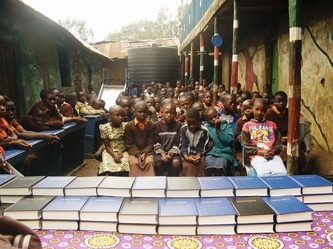 The children acted out a play and then received their Bibles. We pray that God would speak to them through His Word and bless them greatly as they soon begin Part 2 of the course and become familiar with their Bibles. 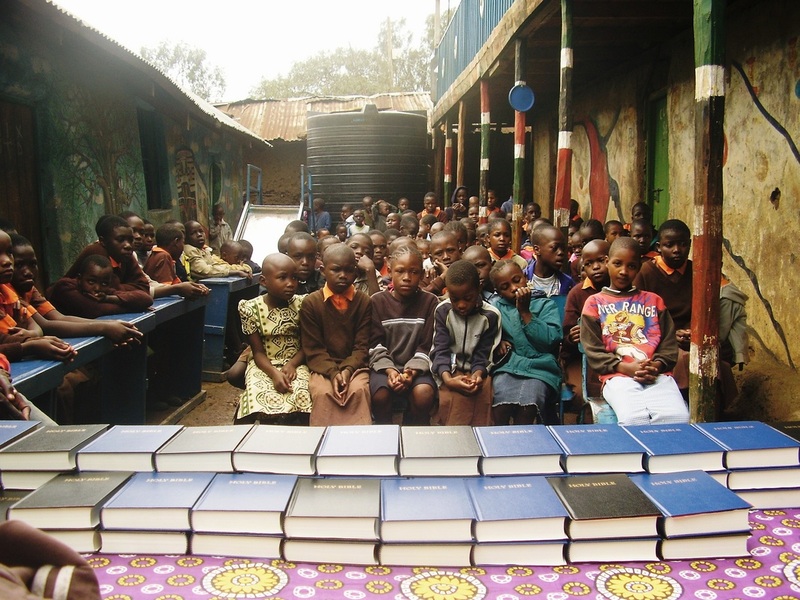 During the month of July 2008, 670 Bibles have been presented to boys and girls in different areas of Nairobi, Nakuru and Kisii. We attended many different venues. 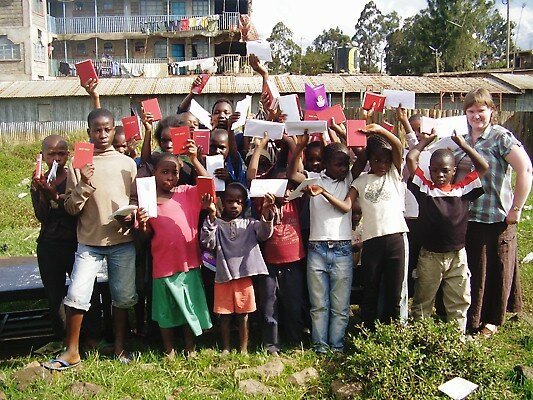 The numbers of children who received Bibles varied; 4 in one church, 20 in another, 80 in another and 175 in another; to name just a few.....each one special and precious to us.....and more importantly to God. Praise God for the many children who are continuing to learn the Word of God from our lessons. Pray that they will be saved at a young age. Remember those who are just starting at Lesson 1 and pray for those who will now continue the second part of the course using their Bibles.